The Chipmunk trained thousands of UK air force pilots. 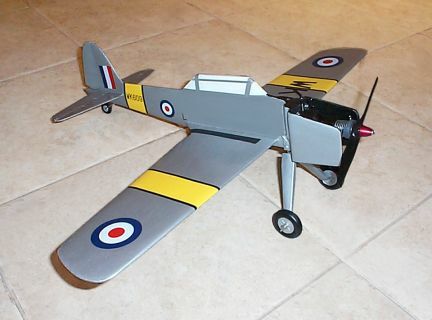 While this model is simple to build, its performance is top notch for the experienced pilot. Flight test results with a Cox black widow engine showed the Chipmunk capable of stable level flight, wing overs, outside loops, inside loops, and inverted flight. This model is sure to please everyone.